The Clean Energy Institute frequently invites top scholars in energy research to campus to speak to students and faculty. We also participate in numerous industry events and conferences to support the growth of the clean energy economy and share our knowledge and research. 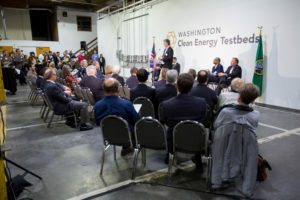 Please explore the links below to learn more about what’s happening at the Clean Energy Institute.